The Best Minimalist Fashion blogs from thousands of top Minimalist blogs in our index using search and social metrics. Data will be refreshed once a week. Minimalist Fashion newsletter is a comprehensive summary of the day's most important blog posts and news articles from the best Minimalist Fashion websites on the web, and delivered to your email inbox each morning. To subscribe, simply provide us with your email address. Sydney About Blog Sara Donaldson in one of the pioneering style bloggers in Australia, launching her blog Harper and Harley in 2008. Carving a niche within the ‘less is more’ philosophy across fashion, beauty and lifestyle, Sara has become the poster girl for elevated minimalism, making Harper and Harley the destination for timeless wardrobe essential inspiration. Facebook fans 281,575. Twitter followers 15,651. Facebook fans 127,397. Twitter followers n/a. Facebook fans 20,323. Twitter followers n/a. About Blog A mix between minimalism & California laid back. She started her blog in 2011 and with her minimal, fun and creative style Mija became one of the most influential bloggers worldwide. Facebook fans 6,303. Twitter followers n/a. Australia About Blog Modern Legacy is an australian fashion and personal style blog. Here you will find all the latest trends, style, quirky outfits and fashion reviews. Facebook fans 3,232. Twitter followers 2,144. Los Angeles About Blog Andy Heart is a blog founded by Ann Kim. With Fashion as focus it also covers lifestyle, art, design, and travel. Ann's minimalist sensibility and eye for balance and details are her signature in both her personal style and work. Facebook fans 4,528. Twitter followers 1,668. Berlin, Germany About Blog Jenny mustard blogs about a maximal life for the minimalist. Also helping women build lives they love through simple, intentional living. A blog about minimalist fashion. Facebook fans 16,253. Twitter followers 2,143. About Blog A conscious living blog by Dawn Michelle. A blog about simplicity, organic beauty, DIY, motherhood, health & wellness, style, zero waste, inspiration. Facebook fans 7,264. Twitter followers 1,427. About Blog F I G T N Y is a fashion blog by a New York fashion blogger who has a perfect minimalist style. Perth About Blog Beige Renegade is a style and lifestyle inspiration source for the minimalist in us all. Minimalist style and lifestyle inspiration source by Jiawa Liu - helping you create the perfect effortless personal style. Facebook fans 6,836. Twitter followers 1,299. About Blog A Collection of The Best Minimalistic Blogs in Fashion. Facebook fans 311. Twitter followers 438. San Francisco, CA About Blog I'm Rosie, a color explorer, a capsule creator and a wardrobe alchemist. I help vibrant women like you unleash their true selves by teaching the secrets of an expressive minimalist wardrobe. Facebook fans 488. Twitter followers 127. About Blog I’m a classical musician turned personal stylist and minimalist. Simple, beautiful living comes naturally to me and I love helping other people clear the clutter from their wardrobe, find beautiful pieces they love and enjoy the benefits of a simple, mindful approach to clothes. Edinburgh About Blog I'm Jen a former fast fashion addict turned slow and responsible fashion advocate.The Sustainable Edit is an ethical fashion blog sharing the best sustainable fashion, capsule wardrobe advice, beauty, minimalism and slow and simple living tips. Facebook fans 413. Twitter followers 2,316. About Blog Anea Duratovic is the London based fashion blogger behind Her Couture Life – a blog dedicated to bringing readers posts on living a minimalist style philosophy. Facebook fans 531. Twitter followers 31. Croatia About Blog My name is Valentina, I'm 17 year old girl from Croatia. I started my blog because I love fashion and beauty, I wanted to share my love for them with others. p.s. minimalist is a personal style and beauty blog about minimalist fashion with few beauty posts here and there! Facebook fans n/a. Twitter followers 2,153. Cape Town, South Africa About Blog An avid writer and photographer, Cape Town based creative, Rebecca Arendse, is the founder of theminimaleblogger.com, a platform where she shares her personal style experiences, and those of her minimalist approach to life. Facebook fans 232. Twitter followers 515. About Blog Cher Bai is the voice behind CHERMYCLOSET, a site dedicated to showcasing her love for fashion and creative styling. She is a digital media influencer, content creator, fashion and lifestyle blogger based in Toronto, Canada. Her personal style is a perfect mix of minimal and feminine, cool and chic. Facebook fans 72. Twitter followers n/a. Gurgaon, India About Blog DeeSayz is a fashion & street style blog founded by Deepali Soni, a resident of millennium city, Gurgaon, INDIA. DeeSayz is a fashion & street style blog aimed at elevating the simple daily looks into style statements for a powerful & confident personality. After having headed a fashion & design institute in the capacity of a Director for about ten years, Deepali felt the need to share her experiences and to educate the world about the finer nuances of fashion. Thus DeeSayz was born! Facebook fans 7,018. Twitter followers 572. Singapore About Blog Creating simple life compositions, inspirations and outfits from a minimal palette, Salina Chai who is based in Singapore, has carefully curated this platform to emphasize her minimal philosophy through key essentials of every girl's wardrobe. Facebook fans 2. Twitter followers 134. Brighton, Denmark About Blog I want to inspire women to buy less, choose more carefully and have fun with a systematic and more minimal approach to their wardrobe. I also like to give my universe a dash of hair and beauty inspiration, as well as taking you with me on my journey towards a lifestyle with less waste in general. About Blog z hours is a style blog run by Diana, an NYC based style blogger, creative director, and photographer. Diana favors directional and minimal style and strives to create only on-brand imageries. Facebook fans 325. Twitter followers 287. About - A London-based fashion, beauty, interior design & travel blog inspiring a more conscious lifestyle. About - I inspire young professionals to become fashionable and learn more about beauty. About - Former fast fashion addict turned slow and responsible fashion advocate. Join me on my journey towards a more sustainable wardrobe and lifestyle. 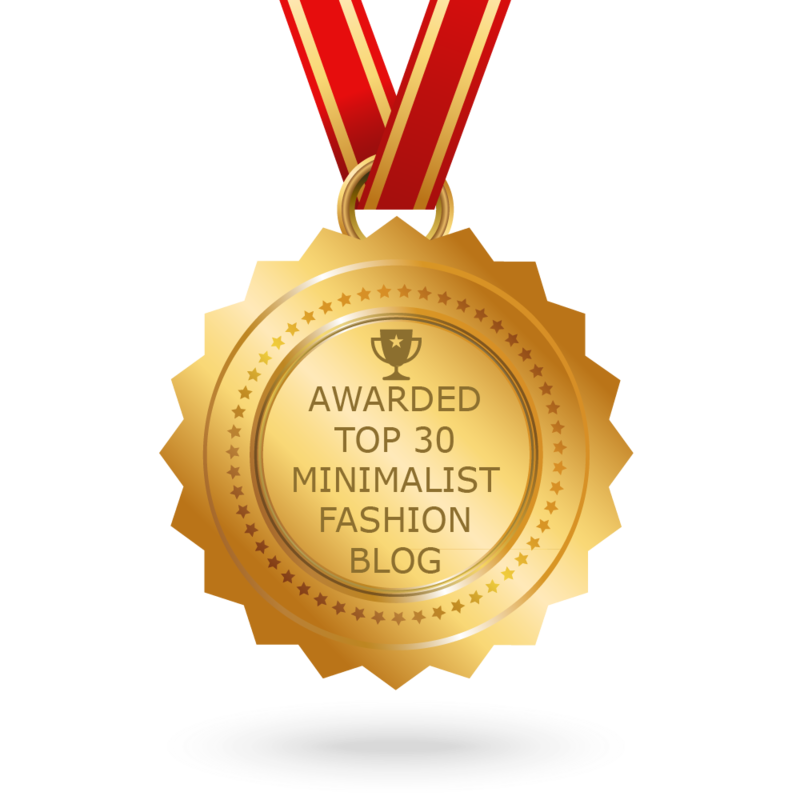 CONGRATULATIONS to every blogger that has made this Top Minimalist Fashion Blogs list! This is the most comprehensive list of best Minimalist Fashion blogs on the internet and I’m honoured to have you as part of this! I personally give you a high-five and want to thank you for your contribution to this world.